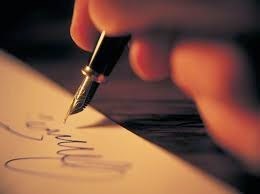 When I was younger and thought about becoming a writer I always imagined me writing everything out by hand. None of that typing business for me. No sir. I was old school and proud of it. 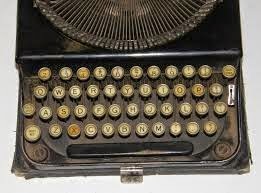 I had it in my ten year old head that if at any point I had to type I would get an old typewriter and type on that. That was the type of writer I was. As if it was more legitimate or something. I could see myself looking like Shakespeare with hundreds of pages strewn across a desk and stories in my head and words in my pen. Fast forward to today if you will. Today I sat my second of five exams. I sat there with a cramp in my hand wondering why on earth anyone would willingly write anything academic by hand. 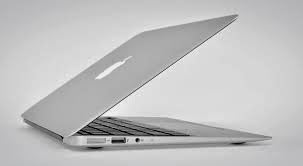 I longed for my keyboard so as I could write my usual 50 words a minute. I don't know when this occurred. I still love the idea of having a handwritten book, beautifully done with illustrations. But that is no longer how I see myself writing. Now I see myself with my laptop on my knee speed typing. Because, this is now the type of writer that I am. 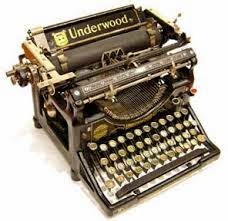 A type writer.